1. 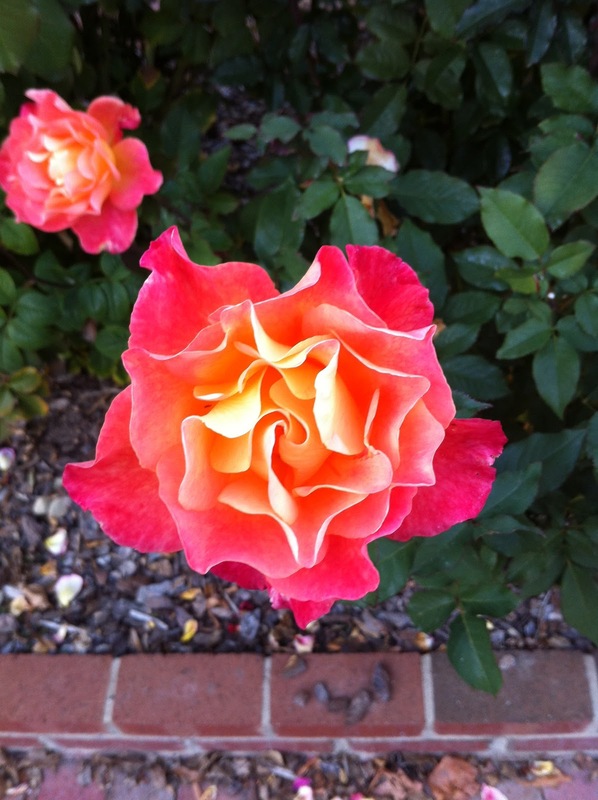 I found myself in a rose garden earlier this week and was marveling at how beautiful they truly are. What a creation by God! 2. I've always spent a lot of time around children from being a teacher to babysitting on the weekends. As a result, my eyes are always peeled for fun kid gifts. I stumbled across this crayons yesterday and fell in love with them. There colors are so bright and bold! 3. It's finally starting to feel more fall/wintery around here, which sadly I dislike. The other day it was cold and rainy and I was secretly wishing I could stay in my pjs all day long. But alas, I had errands to run so I popped on my happy rainboots and it seemed to make the day a little less dreary. 4. I found these amazing gold shoes at Target. They are both fancy and comfy all in one which is my favorite kind of shoe! 4. Fleece-lined leggings. You need them, trust me! They are so so so amazing. $9.99 at Bed, Bath, and Beyond. 6. This is what my heart looks like. Nothing makes me happier than sending some little notes of encouragement, and occasionally I like to throw in a gift or two! This makes me happy! Especially the rose. Gorgeous! But truly, all of it, I love!! Super cute crayons! What brand are they? My little sisters would die over them. Fleece-lined leggings?! I will be checking them out. And the Target shoes are adorable. Love the crayons and boots especially!! Those Target shoes are sooo cute! I may need to pop in and grab some of those! Oh, and your boots? Perfect for brightening up rainy days. I love all these! I just bought a pair of fleece lined leggings and have just used them once.... but I know they'll be the best things ever pretty soon! Love the sparkly flats... and that you randomly send handwritten notes! It's a dying art form, sadly. Maybe I'll send a note today!